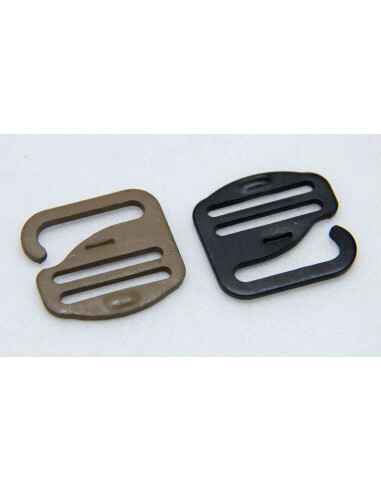 G-hooks offer compact webbing mods connecting with a simple hook to 1" webbing and offering 1" slots to connect additional webbing. Example attachment points include the sides of tac-vests or up on shoulder straps (packs or vests). 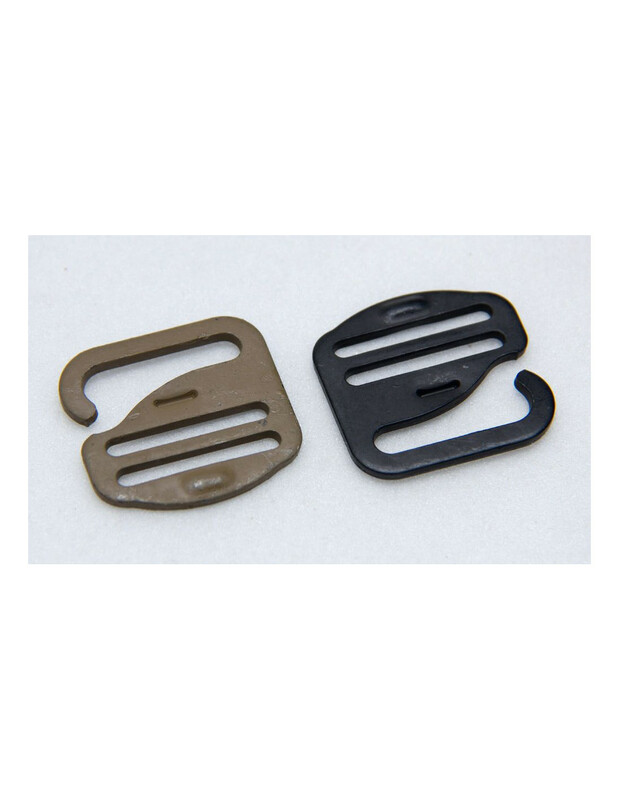 Since metal, the G-hooks are very flat compared to a typical SRB attachment.